MONEY IS THE OXYGEN of any political movement, be it the ADL and SPLC, or White racialism. Starve a movement — or a people — of money, and you can destroy them. Jews, ever focused on power, routinely attack White funding sources. Indeed, a major purpose of the government’s so-called “money-laundering” laws, ostensibly aimed at “terrorism” and organized crime, is to destroy political opposition to Zionist thuggery, White nationalism, and other political movements deemed unacceptable by the System. Since money is so important, its role in the rise of National Socialism in Germany is of more than academic interest to White racialists determined that their people should survive. The Left has long maintained that Hitler was put into power by wealthy White capitalists. This narrative was constructed in the 1920s and ’30s by Communists and Leftists dominant in Germany, the West, and, of course, the Soviet Union, and promoted by academics and the media ever since. The narrative was challenged by Atlanta-born Yale University historian Henry Ashby Turner in his best-known book, German Big Business and the Rise of Hitler (New York: Oxford University Press, 1985), translated into German as Die Grossunternehmer und der Aufstieg Hitlers (Berlin: Siedler Verlag, 1985). It covers the period up to 1933. Turner, who died in 2008 at age 76, was married and had three children and six grandchildren. Unsurprisingly for anyone who has read David Irving, Turner notes that the documentary sources he consulted had been ignored by other historians. Mostly Turner cites original documents: “Only in the case of impeccable scholarly editions have I relied on published versions of materials I originally used in archival form” (p. xv). many ambitious attempts at comparative history — inspired not just by Marxism but also by Freudian psychoanalysis, theories of totalitarianism, or modernization theory — had distorted important factual details of the Nazi rise to support broad [ideological] generalizations. . . . Turner developed a suspicion that adherents of Marxism were especially likely to violate basic rules of historical evidence, but he always displayed similar skepticism with regard to Freudian psychoanalysis, theories of totalitarianism, and many other attempts by ambitious social scientists to fit the case study of the Nazi seizure of power into a sweeping theory. This, of course, is precisely what makes his work interesting to the serious student of history. Although Fritz Thyssen was a rare big business supporter of Hitler, Turner was aware that his book I Paid Hitler (1941) is unreliable. He calls it “purported memoirs” “ghostwritten” by the “Hungarian” Emery Reves. (He does not reveal that Reves was actually a well-connected Jewish propagandist.) Turner wrote a German paper on the subject, “Fritz Thyssen und ‘I Paid Hitler’,” Vierteljahrshefte für Zeitgeschichte 19 (1971): 225–44 that can be read free online in PDF format. Turner makes a single passing reference to the other major English-language book on the subject of National Socialist funding, James and Suzanne Pool’s Who Financed Hitler? (1978), which was translated into German in 1979. He categorizes it among sources that “violate the rules of historical scholarship so flagrantly as to render them worthless” (p. xii), adding, “among other things its authors cited documents from archives they had never visited” (p. 362 n. 3). Despite Turner’s generally reliable use of sources, he does cite as authority the German edition of Hermann Rauschning’s phony The Voice of Destruction/Hitler Speaks (1940), a series of fictional personal conversations with Hitler, as well as two of Rauschning’s other works. Emery Reves, the Jew behind Thyssen’s I Paid Hitler, played a role in fabricating the Rauschning book as well. Rauschning was a Conservative Revolutionary who fled Germany for the US in 1936, where he wrote a number of popular anti-National Socialist propaganda books. Unfortunately, Turner’s special reliance upon Rauschning occurs in a particularly interesting section of the book entitled “Hitler’s Economics,” in which Turner lays out Hitler’s supposed views. He uses other sources as well, but the heavy dependence upon Rauschning renders much of this otherwise fascinating account untrustworthy. Unlike earlier academics, Turner actually defined what he meant by “big business.” Because virtually all the largest companies in Weimar Germany were joint-stock corporations, his criteria for inclusion was a balance sheet book value ≥ 20 million post-stabilization marks. This represented a high degree of capital concentration across a variety of industries including coal, iron, steel, banking, insurance, chemicals, and electrical equipment. The 158 privately-owned firms that met his criteria constituted only 1.3% of all joint-stock companies in Germany, but collectively accounted for 47% of their total book value. Turner excluded from consideration large numbers of government-owned entities such as transportation companies, utilities, and even industrial enterprises since, obviously, they were not part of the private sector. Chemical giant IG Farben, Germany’s and Europe’s largest corporation after its formation in 1925, and the fourth largest in the world after US-based General Motors, US Steel, and Standard Oil of New Jersey, was regularly attacked by the Party and did not support it. The country’s leading businessman, Gustav Georg Friedrich Maria Krupp von Bohlen und Halbach, was adamantly anti-National Socialist. Turner was therefore highly critical of popular historian William Manchester’s bestselling The Arms of Krupp: The Rise and Fall of the Industrial Dynasty that Armed Germany at War (1968), a lurid anti-German account of the Krupp family and firm which catered to popular prejudices. Part of the reason for big business’ hostility was that the NSDAP was perceived as anti-capitalist and quasi-Communist. Yet, as Turner makes abundantly clear in an extensive discussion of National Socialist economic theory, the Party actually spoke with a “cacophony of voices” ranging from extreme Left to pro-private enterprise. In truth, there was no “Nazi” party line on business and the economy. Nevertheless, I would classify its economics as fascist, since ultimately business, the economy, private property, and individual endeavor were all deemed subordinate to the dictates of the State, which supposedly embodied in mystical Rousseauian fashion the will of the people. Its economic posture therefore resembled that of the United States since the New Deal. The titans of industry also intensely disliked the Party’s anti-Semitism. I believe that Turner severely underplays the importance of this factor in explaining why so many of the wealthiest Germans refused to back the Party. Given how easy it is for big business to accommodate itself to Jews, socialists, globalists, and even Communists, this factor was, I suspect, far more important than any objection the wealthy had to the Party’s anti-capitalism. In this connection, the book might mislead readers into thinking that Jews played no role in German big business, which was decidedly not the case. However, the only Jewish businessman Turner discusses at length is the anti-National Socialist Paul Silverberg, presumably because he was so important Turner couldn’t pretend he didn’t exist. This type of shortcoming — the omission of crucial context — occurs again in the absence of any discussion of the social milieu that gave rise to National Socialism: Communism, Jewish power, anti-Germanism, internationalism, and Weimar degeneracy. National Socialism can’t meaningfully be discussed if you dishonestly imply, as most historians do, that it arose in a vacuum, and that Communist extremism, violence, terrorism, and Left-wing paramilitary groups did not exist. But Turner was a liberal Ivy League academic, and so he does just that. Big business was also hostile to hardline German nationalist Alfred Hugenberg (not a National Socialist) and his right-wing German National People’s Party (DNVP). The perceptive Hugenberg early-on grasped the supreme importance of the mass media, and in 1919 began building his ultimately formidable empire of newspapers, publishing houses, and ownership of Germany’s largest movie company, Ufa. Even in the early years large monetary contributions from patrons played only a minimal role in the Party’s growth. There was always some patronage of this kind, but it was not decisive, and did not come from the largest corporations or wealthiest individuals in Germany as Communist and Leftist propaganda asserts. 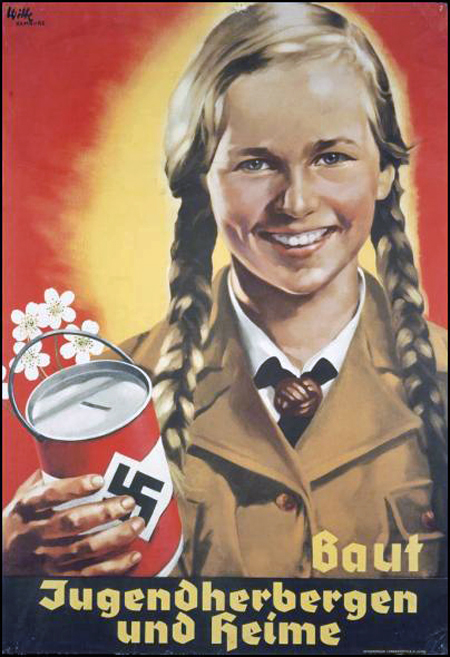 Unlike bourgeois political parties, the NSDAP never relied upon, and hence never became dependent on, large-scale subsidies. The Party enforced regular collection of dues from members. The money was divided between local units and Party headquarters. Party headquarters, by the way, was not in Berlin, but at the Brown House in Munich. Because of Jewish and Left-wing hatred of Prussia, it is easy not to know that National Socialism was originally a Bavarian (southern German) movement. During Weimar, the government of Prussia, Germany’s largest and most powerful region, was actually Left-wing and anti-National Socialist. Its hostile secret police always tracked the movement and monitored its meetings. Members also provided interest-free loans, donated equipment other parties were forced to purchase, and volunteered many hours of free labor. In other words, followers were deeply committed and dedicated in ways that the constituencies of other parties (save for the Communists) were not. Methods of eliciting such devotion today must be found. It would seem that contemporary ruling parties everywhere, including Democrats and Republicans in the US, do not have deeply devoted followings. They depend on small parasitical elites who must be paid, large subventions from wealthy people and special interests, and the doling out of government patronage to schoolteachers, corporations, “minority” constituencies, and so on. “Substantial amounts for admission” were charged to mass rallies, Turner says, and cups and hats were passed after orators, especially Hitler, whipped audiences into a frenzy. Not everything was sacrifice, however. The Party maintained full-time, salaried activists, including its newspaper writers. Speakers at rallies received honoraria (pp. 118–19). And there were paid professional staff at the Brown House in Munich and in party offices throughout the country. A number of people were thereby enabled to devote full-time to party activity. The sophisticated dues-paying system that formed the foundation of the Party’s economic prosperity was devised by a shrewd, virtually unknown accountant named Franz Xaver Schwarz, who is quite interesting to read about and died in an Allied concentration camp after the war at age 72. He had joined the party in 1922; his party member number was six. He oversaw the organization’s finances throughout its existence, and to him is undoubtedly due most of the credit for its financial success. Nevertheless, he is mentioned only four times in Turner’s book. Schwarz’s dues-paying system, insofar as it is known (many records were destroyed in the war) is described on pp. 119–24. Despite Schwarz’s outstanding ability, the Party experienced recurrent financial difficulties throughout the 1920s, forcing it to fall back frequently upon emergency loans before finally achieving stability with the large spurt in membership that occurred in 1930. The point is, a sound financial system had long been in place to exploit popular success once it materialized. The NSDAP, therefore, was not an upstart party relying upon financial handouts. Instead, it was a “remarkable political innovation, an organization that combined charismatic leadership with meticulous bureaucratic administration, a party of mobilization that applied socialist [sic—?] organization and financial techniques to a considerably more affluent following than that of the SPD [the Left-wing Social Democratic Party]” (p. 123). Note that freedom from large subsidies enabled the NSDAP to propagate an extremely radical message unpalatable to elites then and now — apart from the PC “radicalism” of philo-Semitism, anti-White racism, and Leftism that has always been acceptable to our elites. 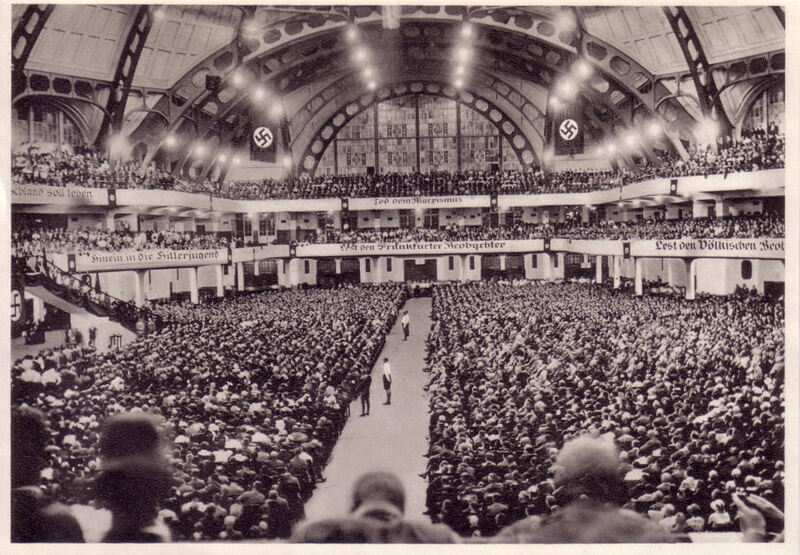 The NSDAP thereby satisfied the genuine needs and aspirations of its white constituency and generated an intensely loyal mass following. Turner was rare among academics in opposing the so-called Sonderweg (“special path”) narrative of German history, which is basically a blood libel against the German people. Harvard Jewish racist Daniel Jonah Goldhagen’s Hitler’s Willing Executioners (1996) belongs to this genre. 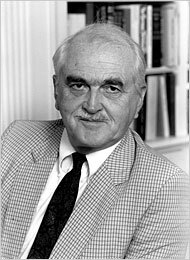 While working on German Big Business, Turner became embroiled in a dispute with a Jewish Marxist at Princeton named David Abraham, author of The Collapse of the Weimar Republic (Princeton: Princeton University Press, 1981), which claimed that big business bankrolled Hitler in order to suppress the working class. Turner, who was intimately familiar with the archival sources cited by Abraham, discovered that the Princeton academic had grossly distorted the evidence. He wrote that Abraham violated the rules of historical scholarship so flagrantly as to render his work worthless— “even more disqualifying” than that of the Pools mentioned earlier. If professionals ever muster the courage to shine a hard, skeptical light on partisan Jewish scholarship they will no doubt discover many intellectual felonies of this kind. Abraham eventually left the historical profession. In 1998 General Motors hired Turner to investigate the wartime activities of Opel, its German subsidiary, after Jews initiated a lawsuit to extort money from the company for its alleged role in the “Holocaust.” Turner concluded that although Opel had agreed to produce engines for the Luftwaffe in 1938, by the time the war began the automotive subsidiary had been nationalized, and GM had had no say in Opel’s production of military vehicles or use of forced labor. He published his findings as General Motors and the Nazis: The Struggle for Control of Opel, Europe’s Biggest Carmaker (New Haven: Yale University Press, 2005). Two other books that might prove of interest given Turner’s relatively non-ideological, empirical orientation are The Two Germanies Since 1945 (New Haven: Yale University Press, 1987) (revised five years later as Germany from Partition to Reunification [New Haven: Yale University Press, 1992]) and Hitler’s Thirty Days To Power: January 1933 (Reading, Mass. : Addison-Wesley, 1996), a succinct, tightly focused account of the political maneuvers in Berlin in January 1933 that led to Hitler’s appointment as chancellor. The latter book would probably provide good insight into what later became known as the Machtergreifung, or “seizure [sic] of power” as the National Socialists called it, the final death rattle of degenerate, neo-Communist Weimar “democracy” and the birth of a totalitarian New Order. Significant detail about this, all of it new to me, is presented as well in German Big Business. Prior to Hitler’s appointment a rapid series of changes in the chancellorship had occurred, with one man succeeding another in rapid succession before resigning due to an inability to establish a stable consensus cabinet or satisfactory working relationship with the Reichstag (national parliament) deeply fractured among warring ideological factions, including the powerful Communists whose aim was to destroy freedom and establish a totalitarian regime. No one in business or government particularly wanted Hitler to be Chancellor (his appointment was the result of Machiavellian backroom maneuvering between competing factions), but the popular strength of the NSDAP made him impossible to ignore. Hitler’s first cabinet was minority NS, and it was widely assumed, for good reason, that his chancellorship, like those of his immediate predecessors, would last no longer than a few weeks or months before collapsing. His appointment was not viewed as a decisive break with the past, and Turner is skillful at making clear why this was a reasonable assumption for people to make. I have tried to provide some indication of where National Socialist funding prior to 1933 came from according to H. A. Turner, who for a variety of reasons seems to be a reasonably trustworthy source. However, most detailed records pertaining to party finances were destroyed during the war, so the bulk of Turner’s book is devoted instead to refuting a widely-propagated falsehood: that German big business was pro-National Socialist and funded Hitler’s rise. Thus, Turner focuses primarily on how the NSDAP was not funded and where it did not receive support — and why. For on this question the documentary evidence contained in previously untapped corporate archives is abundant. 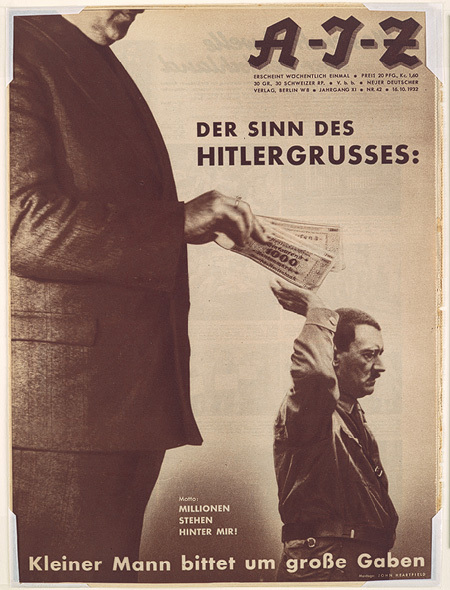 Hitler and his party received important support from wealthy as well as ordinary Germans. But the former were not the equivalent of the Forbes 400 in the United States — the Buffetts, the Gateses, the Rockefellers, the Waltons — nor were the corporations equivalent to our Fortune 500. Emil Kirdorfs and Fritz Thyssens were the exception, not the rule. The wealthiest people and largest corporations sided with the Jews. So it is remarkable the National Socialists succeeded in establishing the equivalent for whites that Communism and Leftism represent for Jews. Germany was the only major country in the world where this happened. Everywhere else, including the United States, the economic crisis of the 1930s led to the final, decisive triumph of Leftism over traditional institutions, cultures, and indigenous White populations, eventuating today in policies of large-scale genocide and the destruction of what little remains of freedom and democracy. Absent radical, determined resistance, the fates of former First World Rhodesia, South Africa, and South West Africa are harbingers of things to come. Alive and Well: Yulia Skripal Says "Returning to Russia is the Long-Term Goal"
Money (or its absence) is the nexus of all human activity.